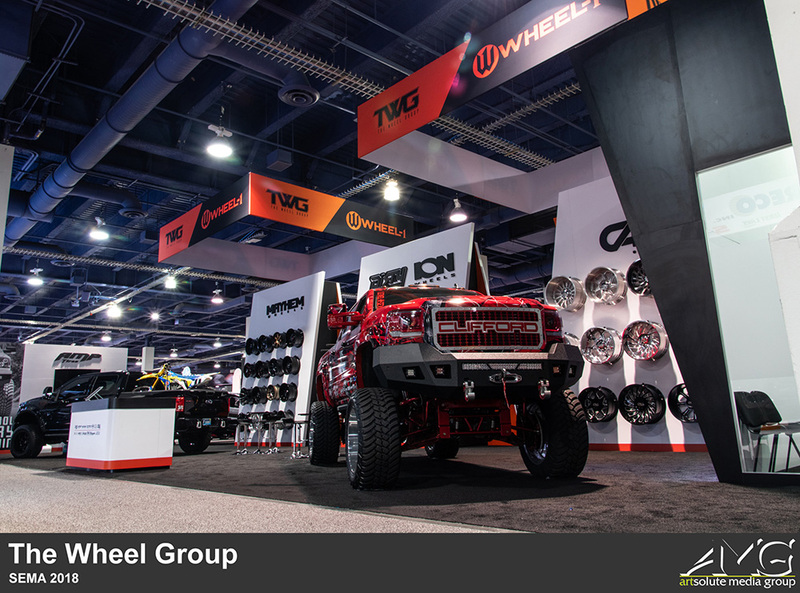 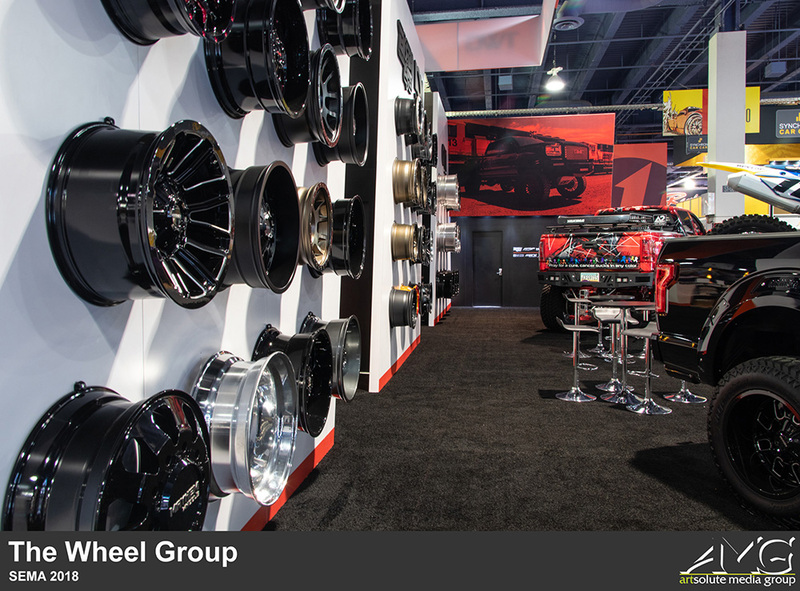 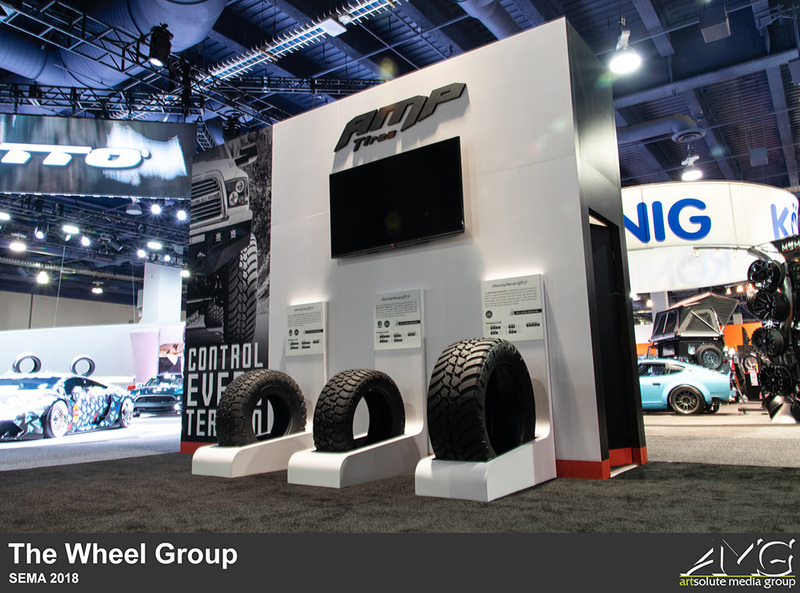 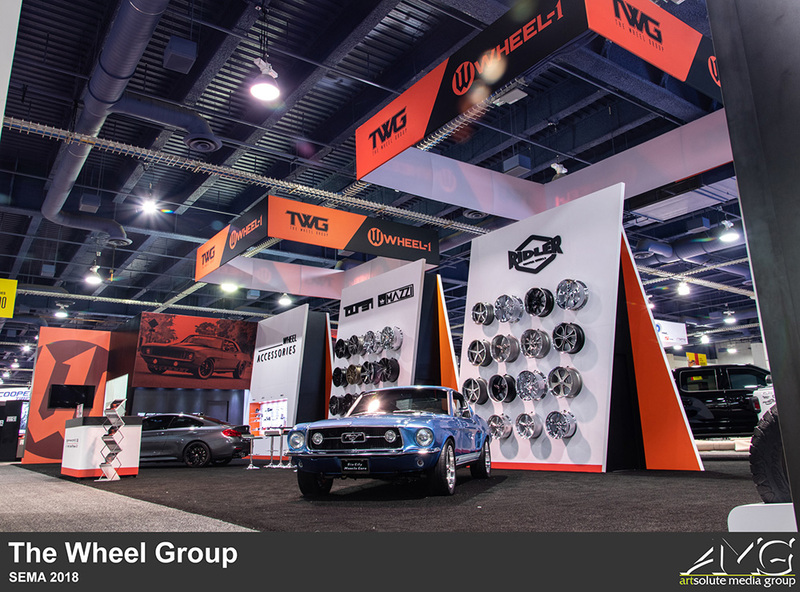 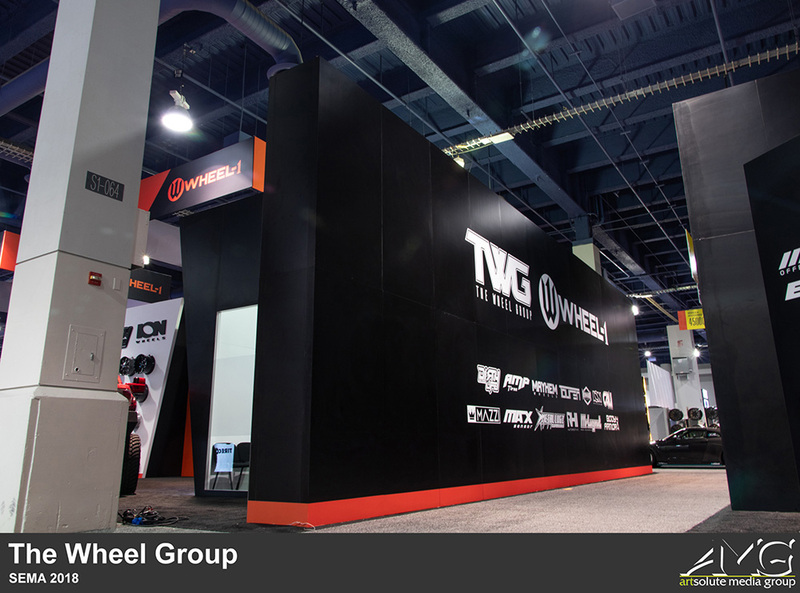 The Wheel Group's exhibit at SEMA this year was truly a sight to behold. 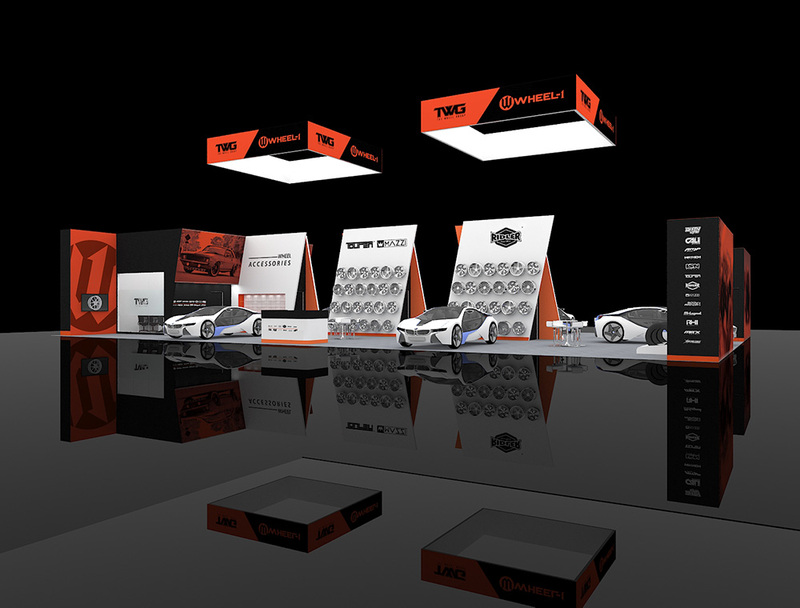 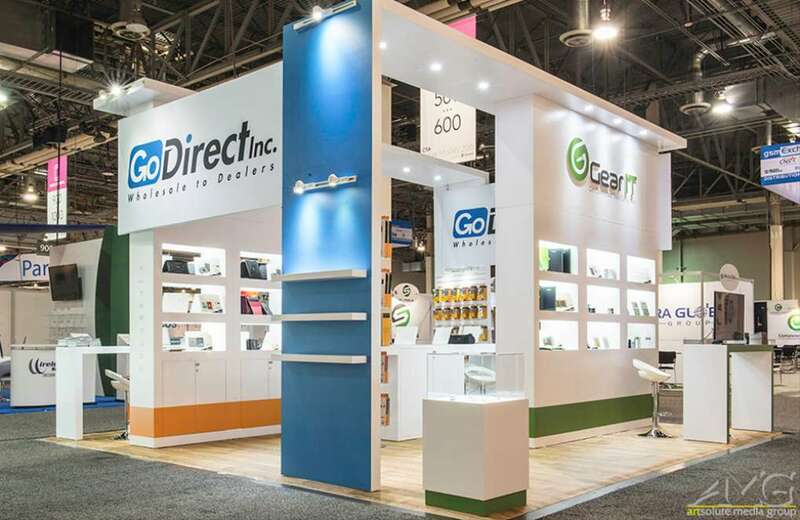 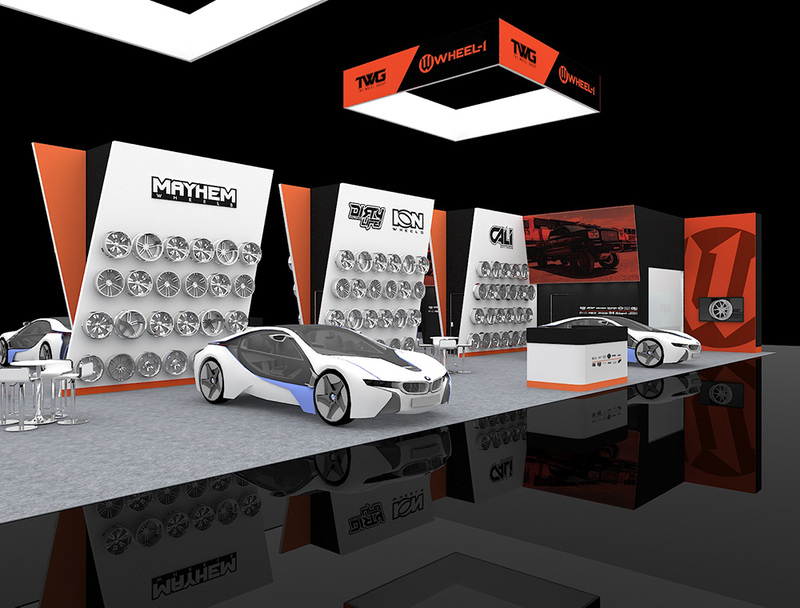 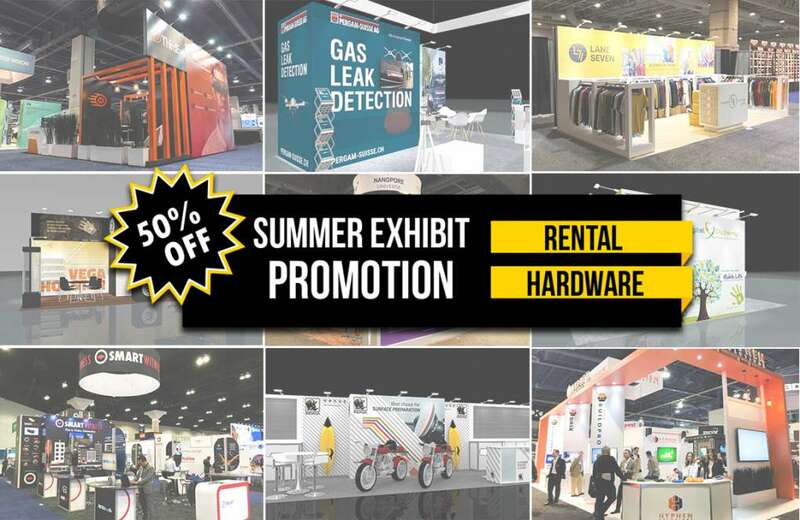 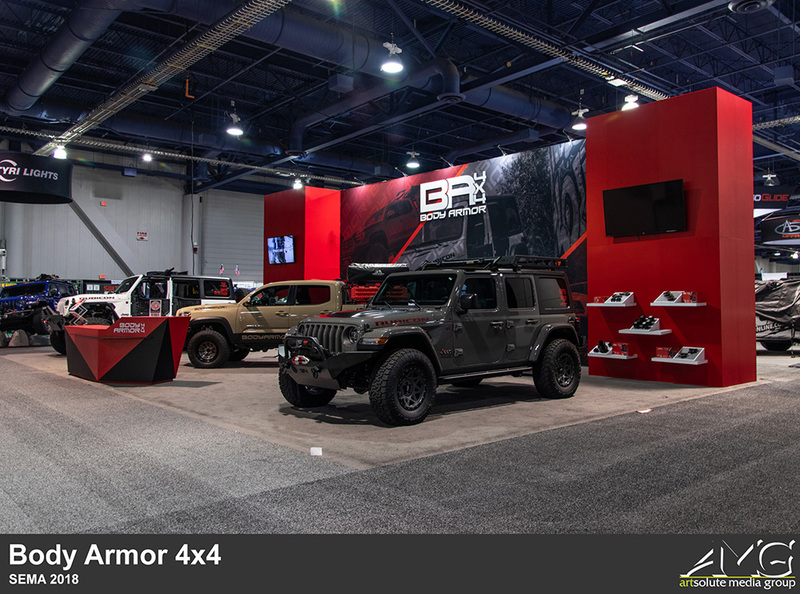 This massive 50x90 exhibit included freestanding backwall structures, numerous show cars, and a multitude of products being displayed in a grand and organized fashion. 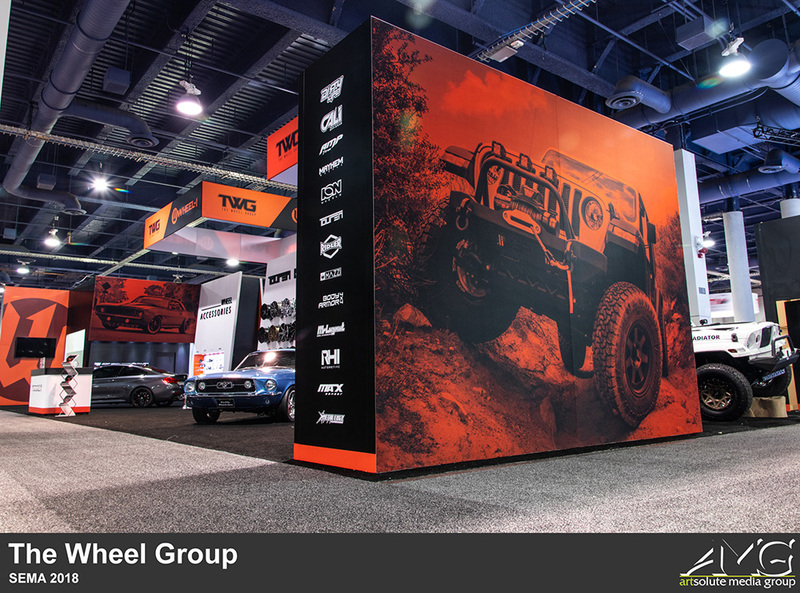 Two 20x20 square banners hung above the exhibit, drawing the attention of attendees from afar. 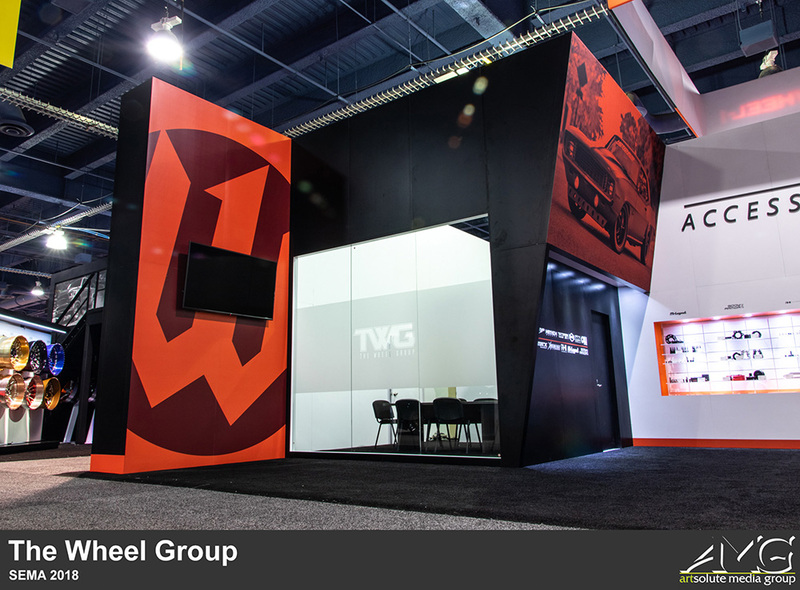 A slanted design theme was incorporated into the freestanding backwall structures to give the overall booth a more modern and sleek appearance. 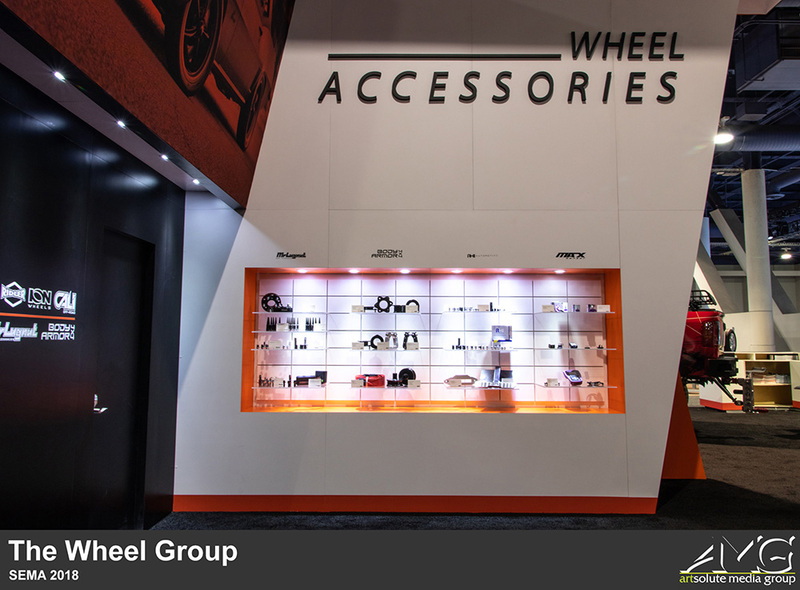 The exhibit also featured a product display area that integrated Qlevo slattiles and shelves to showcase the company's collection of accessories. 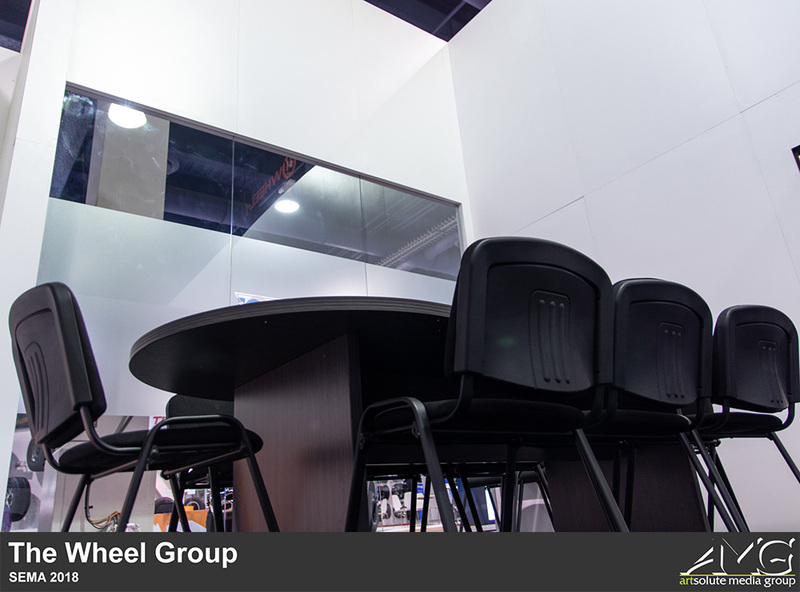 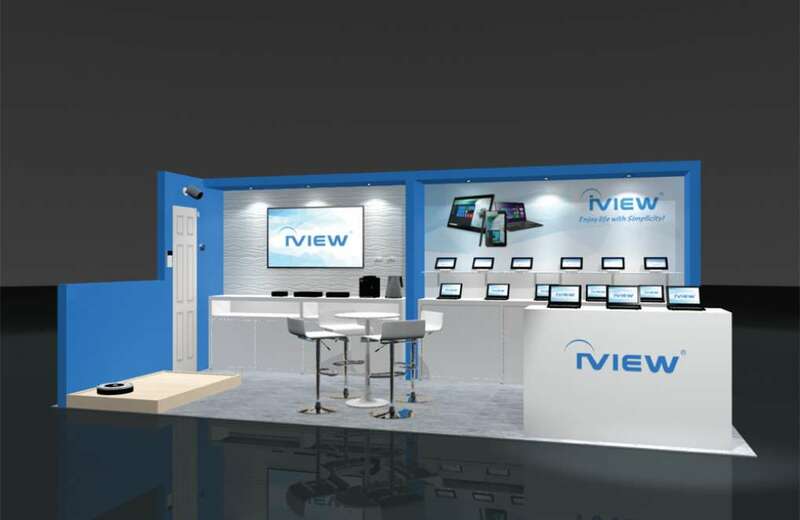 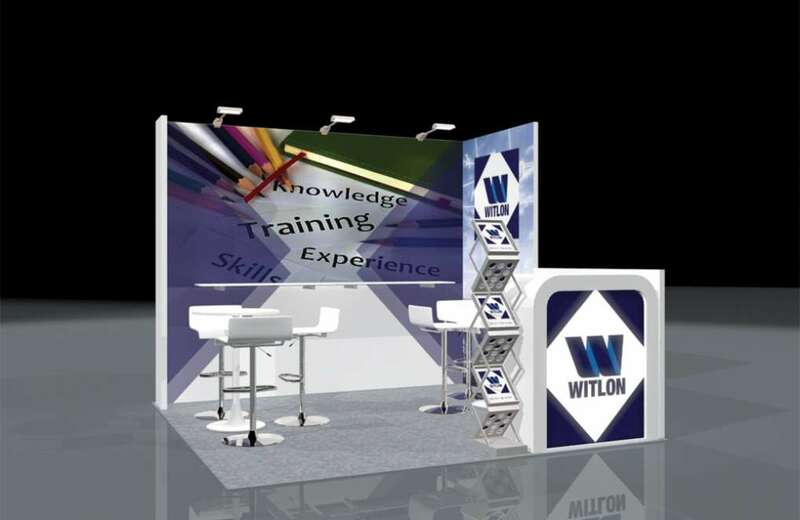 Lastly, 2 spacious meeting rooms were incorporated into the design of the exhibit in order to provide a comfortable and efficient environment for exhibitors and attendees to converse with one another. 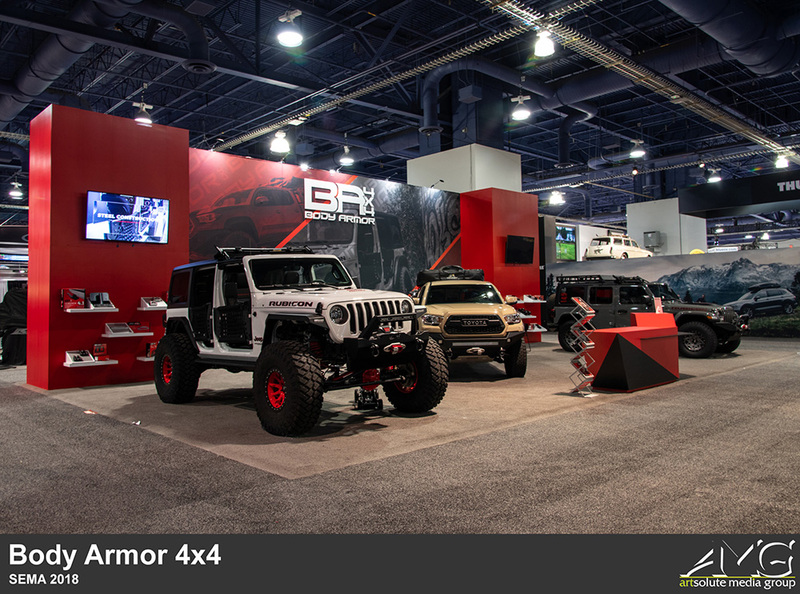 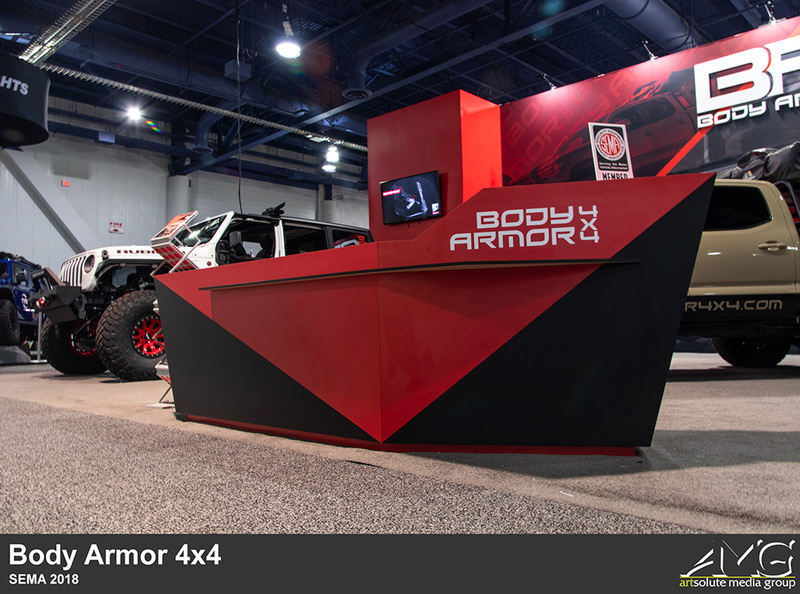 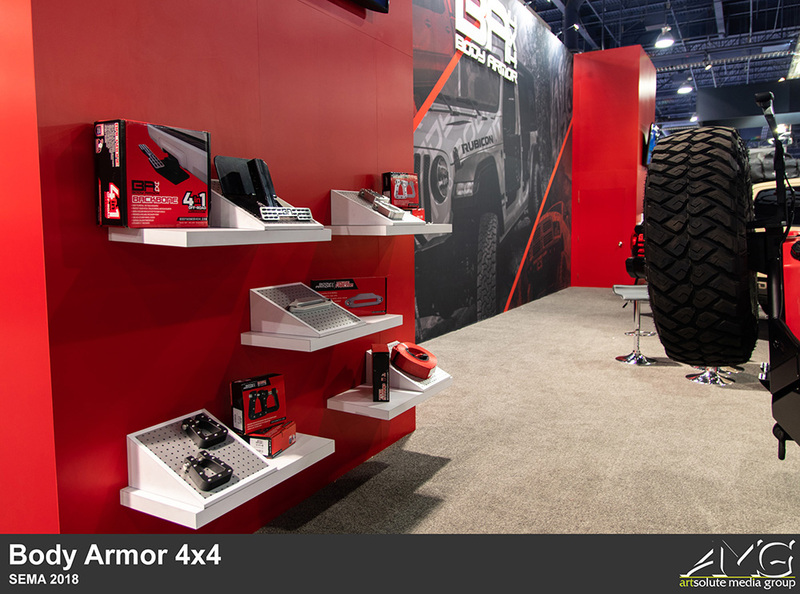 Body Armor's exhibit was designed with the intention of having a lot of free space for the vehicles to be displayed, as well as a large backwall that not only showcased the company's logo, but its brand identity and aesthetic as well. 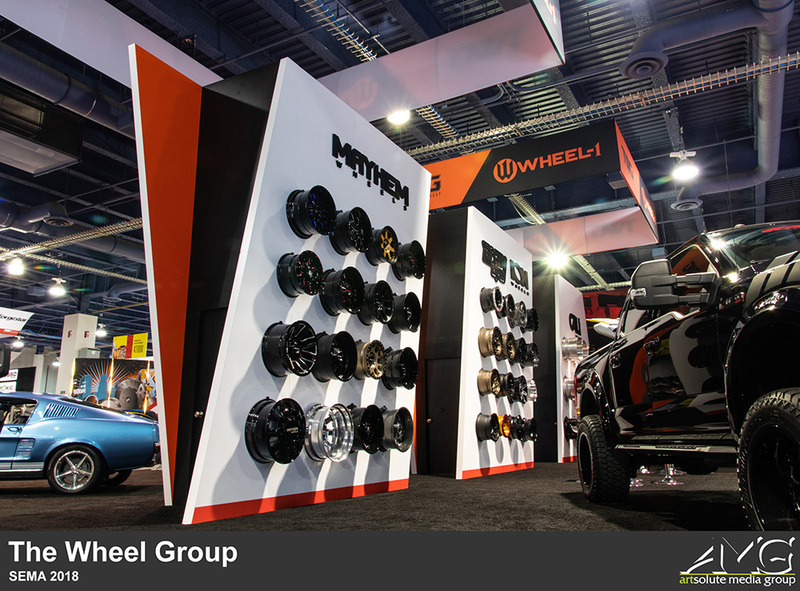 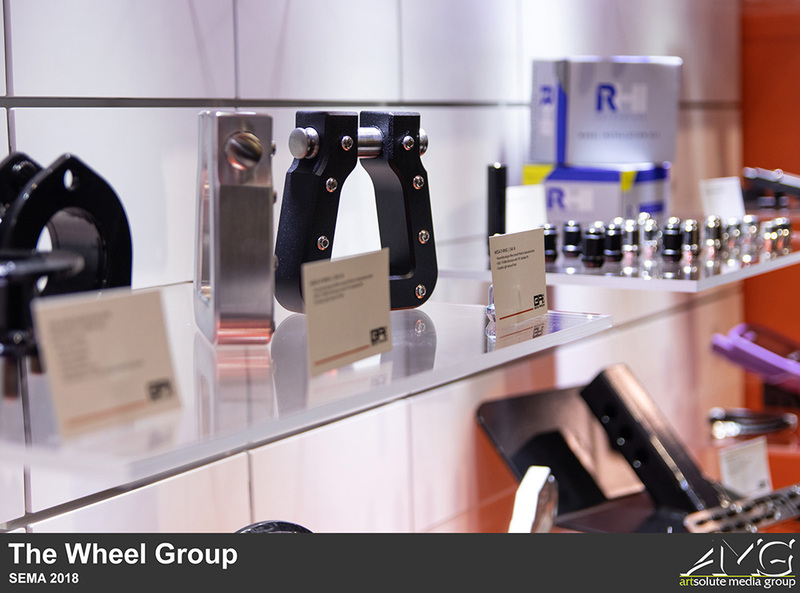 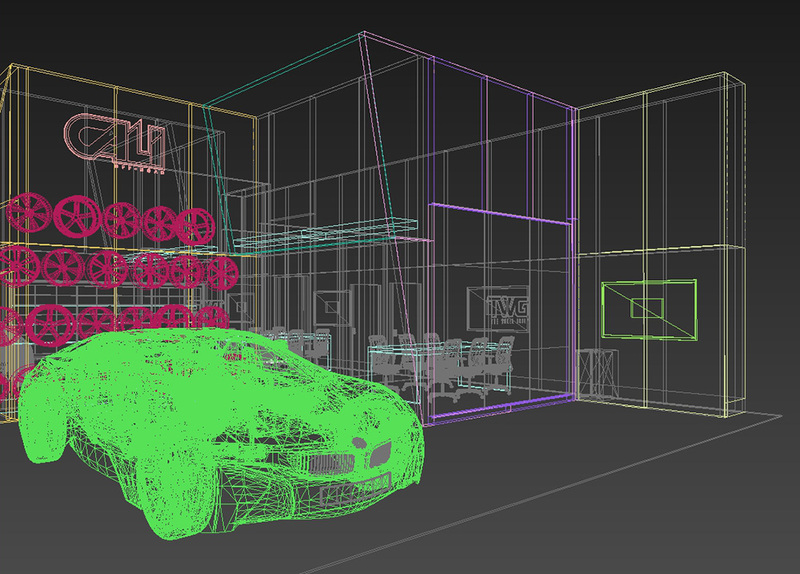 Slanted design elements were subtly incorporated into the backwall and front counter in order to be consistent with The Wheel Group's exhibit design. 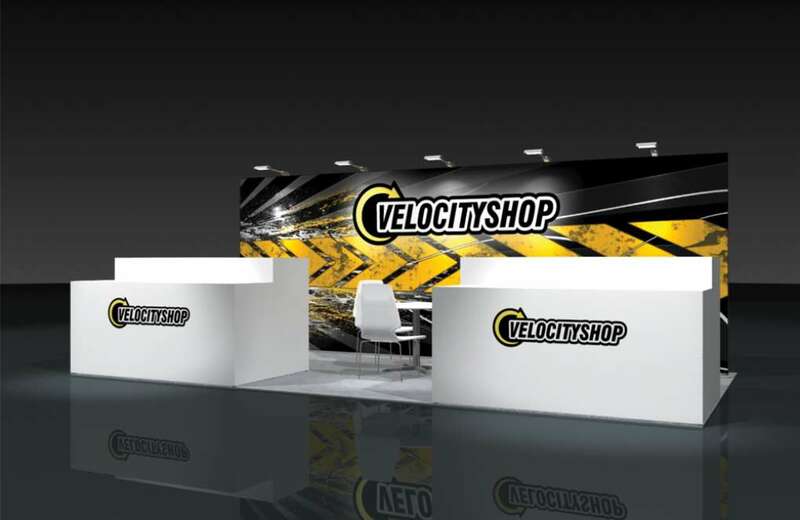 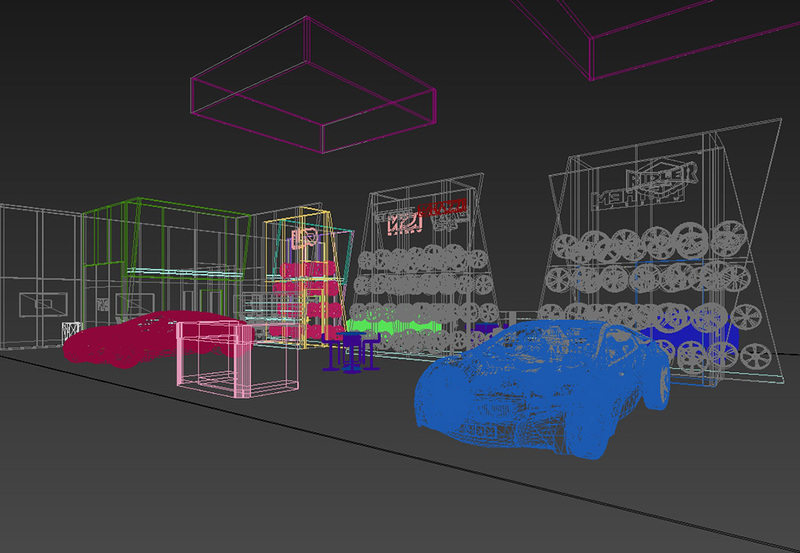 TVs and shelves coupled with product were attached to both ends of the backwall in order to maximize utility of the display. 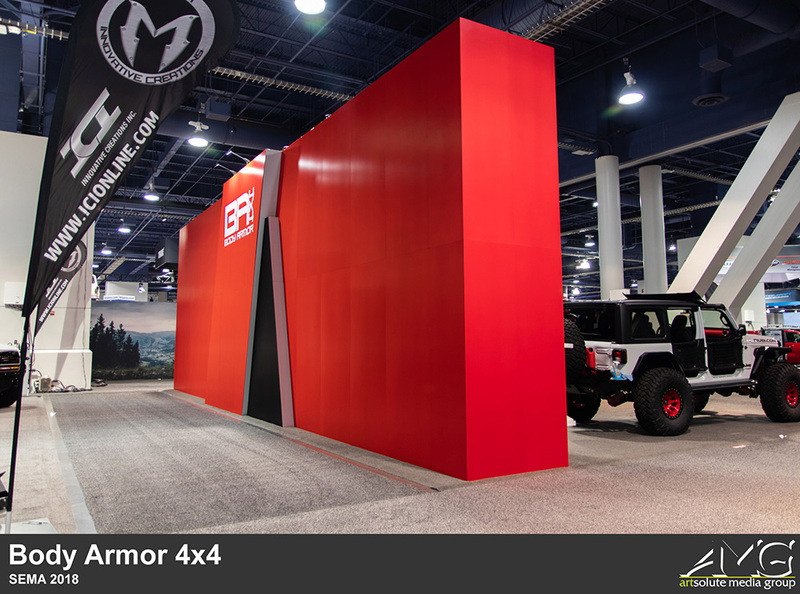 Finally, the bold red color made the exhibit pop and stand out amongst its neighbors.